with an event yesterday and a Family Reunion today - not much time to create, but I was prepping some projects for this week so I'll have some new things to share shortly. One of the phrases I always hear is "I'm not creative and I'd never be able to come up with any ideas". 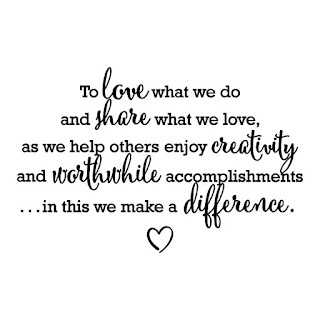 Like many others - when I'm short on time or stuck for a new creative idea I go to Pinterest for a starting place. So I thought I'd share 2 cards I found on Pinterest tonight - I'm planning on CASEing them (using them as a starting point) and I'll show you my creation next Sunday. Want to play along? Pull out some cardstock and ink and create something from the inspiration of these cards. This beautiful card was created by Lauren Alarid - one of the members of the Artisin Design Team. She used the Precious Delivery Stamp Set. While I have not purchased this set yet I love the layout- so that is my starting point for this one. This beautiful card was created by Niki Ridge- Glittermum. 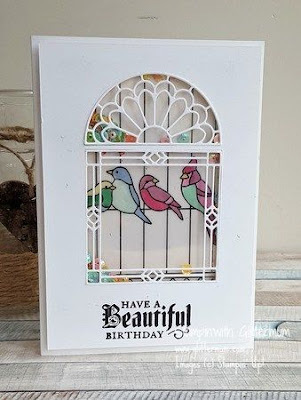 She used the Graceful Glass Bundle to create this beautiful card. It's a shaker card and I love to create shaker cards - so stop back next Sunday to see what I create.